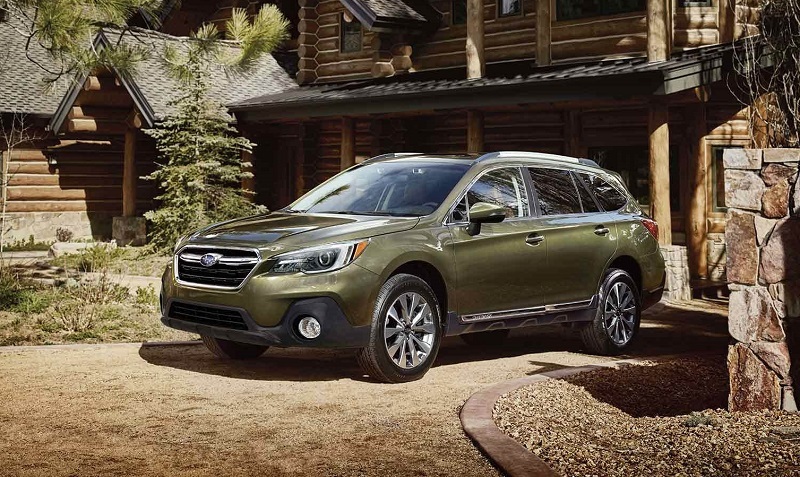 The 2019 Subaru Outback boasts a high level of performance with all-wheel-drive that comes standard. Newly added safety features are included in the wagon, along with the most cargo seat in its class. The vehicle's long list of advanced technology also allows the vehicle to remain competitive in the auto industry. To learn more about 2019 Subaru Outback, visit Flatirons Subaru serving Denver Longmont Boulder. 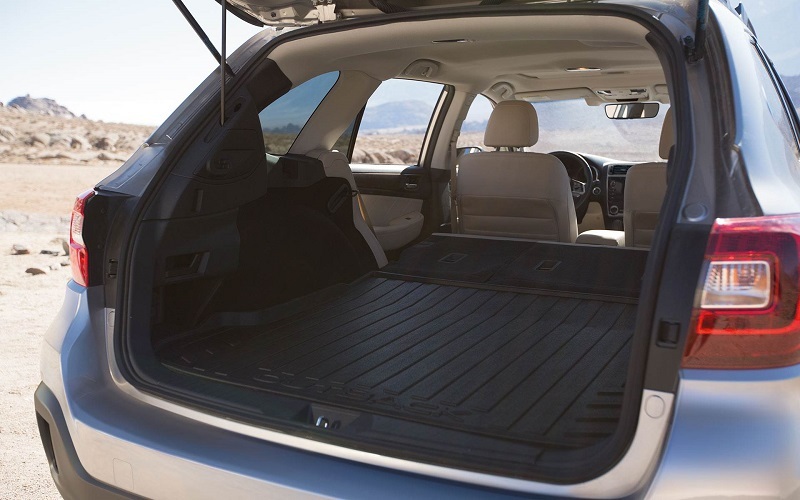 With the 2018 Subaru Outback, the car comes standard with all-wheel-drive and has an ample amount of cargo space in the backseat. One of the main highlights of the vehicle is the spacious seats that are included in a cabin that seats five people. The sporty design of the car shows off its potential both on and off the road. The exterior styling of the new Subaru Outlook features an athletic but modern body that is bold and unique. The car's edgy headlights look sleek while still blending in with the sportiness of the vehicle. The roof racks are not only functional but contribute to the athletic look of the model. The 2018 Outback has a similar style to the new model with LED headlights, a refined shape, and a bold grille. The vehicle looks like it's designed to offer a few adventures and include chrome material on the grille and the frame of the windows. Two USB ports, Android Auto, satellite radio, HD Radio, Apple CarPlay, Bluetooth, the Starlink infotainment interface, and a 6.5-inch touch-screen display. In upper trims, drivers can take advantage of voice-activated controls, an 8-inch touch screen, hands-free Bluetooth text messaging. Many different apps can be utilized with Aha, Stitcher, iHeartRadio, and Pandora, which are all conveniently integrated into the infotainment system that is provided and are easy to use. 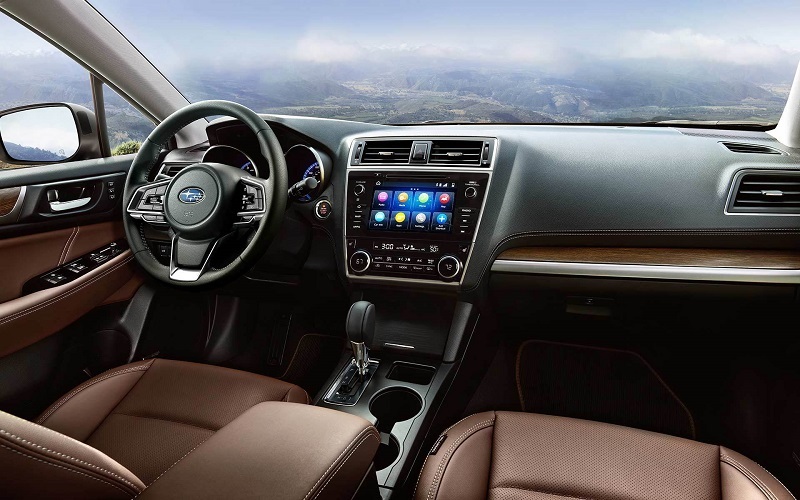 In the cabin of the 2018 Outback, drivers can find different features that include a rearview camera, Android Auto, Apple CarPlay, an infotainment system that includes a 6.5-inch touch screen, dual-zone automatic climate control, a moonroof, satellite radio, a proximity key, and navigation. Drivers can also upgrade to features that include a Harman Kardon audio system, push-button start, HD Radio, and a four-speaker sound system. Cloth upholstery comes standard with leather upholstery available. All of the seats are both comfortable and supportive. The rear seats also recline for added comfort that makes the vehicle unique in its class. Not only do the back seats recline, but there's also a significant amount of head- and legroom that's available in the backseat. The new Outlook comes standard with all-wheel-drive and a 2.5-liter four-cylinder engine that generates 175 horsepower. Drivers can also select a 3.6-liter six-cylinder engine, which delivers 256 horsepower and makes the car even more capable of tackling different challenges on the road. With 25 mpg in the city and 32 mpg on the highway, the vehicle is incredibly fuel-efficient despite its size. The excellent traction that is provided makes it easy to have the car stay planted on the road for added driver confidence. It offers a stable ride that feels similar to driving a sedan. The 2018 Outback has the same fuel economy as the new model and also comes standard with a 2.5-liter four-cylinder model. The optional 3.6-liter six-cylinder engine offers 256 horsepower and is paired with a variable automatic transmission. The wagon proves to be smooth on the road and has a high level of ground clearance, which makes it ideal to drive on roads where there's plenty of dirt or snow present. It proves to be capable of tackling different types of terrain, which makes it ideal for offroading. Both handling and steering are excellent to guarantee an enjoyable experience when sitting in the driver's seat. An impressive amount of advanced safety features are present in the newest generation of the Outback as a way to compensate for mistakes made by the drivers and also reduce the risk of a collision. 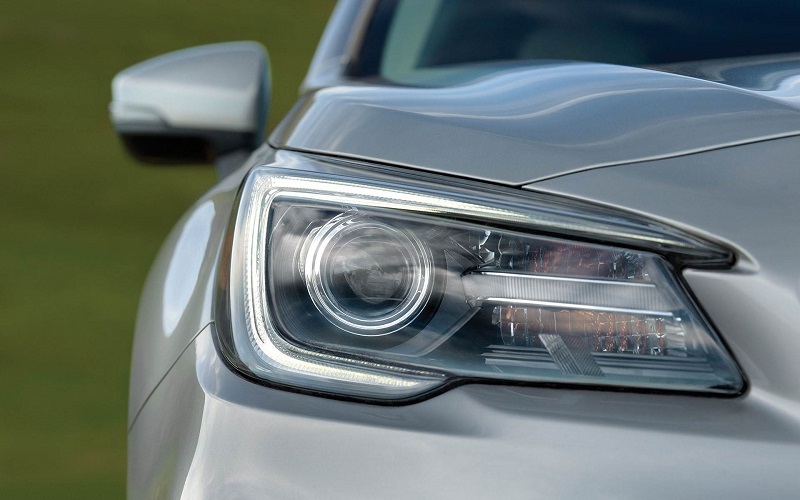 Drivers can take advantage of LED steering responsive headlights, blind spot monitoring, reverse automatic braking, rear cross traffic alert, lane change assist, blind spot monitoring, and reverse automatic braking. The vehicle also performed well in crash tests that were conducted by the Insurance Institute for Highway Safety (IIHS) and the National Highway Traffic Safety Administration (NHTSA)and received high scores for its durability upon impact. Automatic high beams, adaptive cruise control, rear cross traffic alert, blind spot monitoring, lane keep assist, automatic pre-collision braking, and reverse automatic braking are some of the top safety features that are provided in the 2018 Outback. The crash tests that were performed by the IIHS and the NHTSA revealed that the vehicle performed well with its Moderate Overlap Front Test Results, Side Impact Test Results, and Roof Strength Test Results. It also had a high level of durability with the rear crash test that was performed. 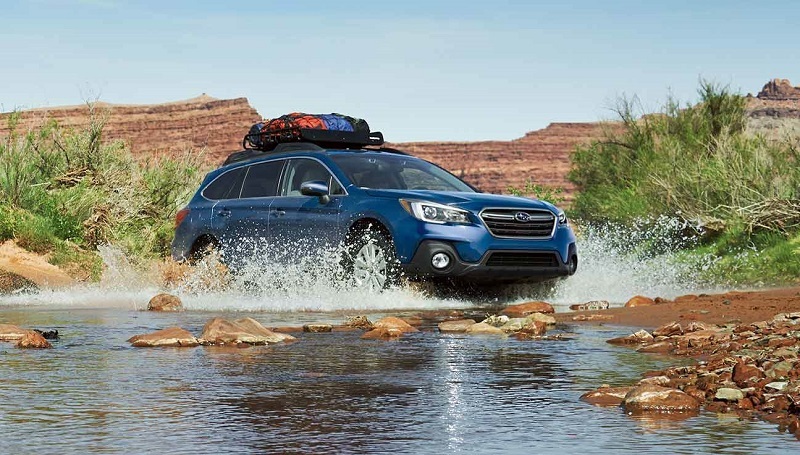 Contact Flatirons Subaru if you want to get a firsthand look at the new Subaru Outback and schedule a test drive. Our team will provide you with more information about the vehicle and any specials that are currently available as we continue serving Denver Longmont Boulder.